The thought of guests coming to dinner or for drinks can strike fear in your heart and in your bank balance. Entertaining can be an expensive business but there are ways to avoid spending more than you have. Read on and find out how to please your guests and your finance manager. Be realistic - what is your budget? Once you have decided on it make sure that you do not deviate. To ensure that you stay within the boundaries of your magic number keep the number of guests down. Inviting 20 people to a dinner party when you have a budget of £50 is going to be very difficult. Have a look in your cupboards. What do you already have in stock? If you have some excellent cuts of frozen meat or some top quality cheese, try and integrate it into your menu. Staples such as pastas, rice or beans can also bulk out a low budget feast. Perhaps consider going vegetarian. Meatless meals are frequently less expensive, healthier and liked by the majority of guests. Everyone has personal tastes when it comes to food. However, budget constraints mean that preparing two or three options for your guests is just not possible. Choose one dishes which is fairly mainstream and classic and that will not offend. Most guests will appreciate the fact that they don't have to prepare their own dinner or lunch and will tuck in irrespective of whether it's their favourite food or not. The alternative option is to get your guests to help. If you are hosting a dinner party get each guest to bring their favourite food and the recipe for the dish so that everyone attending can find a new recipe to try at home. Bring Your Own Bottle is also a good inclusion on any invitation. It will not offend anyone if you do so either. If everyone brings a bottle of wine the drinks bill will be kept down to a minimum and there should be plenty of drink to go round and keep the party swinging. When you are planning a party on a budget you have to get creative. Decorations need to be either home made or picked up from a cheap high street store. This is surprisingly easy. Decorative vases, candles and dishes can be picked up at a low cost and keep things simple yet elegant. Bringing in outside entertainment for your party is a pricey option. However, use your connections. If a friend of yours DJ's get them to come along and spin for an hour in exchange for all the drink they could possibly want! Alternatively get hold of an mp3 player and create your own party tunes. Don't turn your nose up at some classic entertainment ideas either. 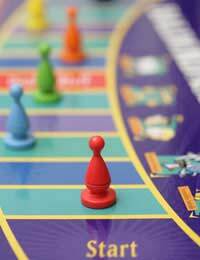 Charades or board games are inclusive, universally appealing and might suit the atmosphere of your particular event. Similarly a disco with cheesy music in the background will prove popular later on in the evening. It might not be cool or chic but it will be fun. And don't pretend that you don't own at least one cheesy CD in your collection! Your main focus should be on having a great time. Don't punish yourself by trying to produce an extravagant affair on a tight budget. It's simply not possible. Just follow these rules: plan as much as you can, enjoy yourself, keep the food simple and keep your company happy. If you do this, you cannot go wrong.